Gillette Stadium in Foxboro, Massachusetts, was filled with lots of excitement and cheering this past April; a typical sight at the home playing field of the New England Patriots. However, this time the fanfare was coming from various leaders at Citizens Bank as they welcomed and congratulated over 300 colleagues being recognized at the annual Credo Champion event taking place at the stadium. At Citizens, our Credo Awards program is one way to recognize our colleagues’ achievements.The Credo Award Champions include colleagues that are nominated by their business line leaders for their dedication and contributions to our customers, colleagues, communities and shareholders. These colleagues go above and beyond every day. The event’s special location and activities for the evening were kept a secret until honorees rolled into Foxboro on motor coaches from Providence, Rhode Island. As honorees arrived, they were greeted by cheering fans with green pom-poms and a receiving line that included, Chairman and CEO Bruce Van Saun and members of the Executive Committee and Executive Leadership Group. The champions were congratulated and welcomed at a reception in the Optum Field Lounge. 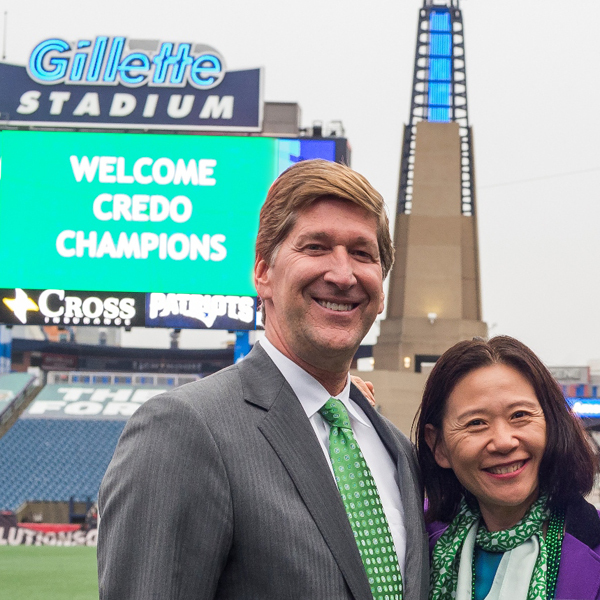 Our Champions had the opportunity to take private behind-the-scenes tours of Gillette Stadium, including stepping out onto the “green carpet” – the playing field – where they were thrilled to see their names up in lights. 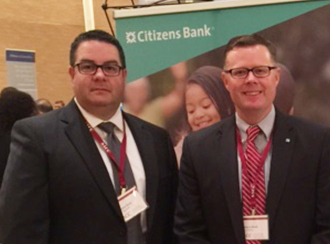 Business line leaders hosted divisional cocktail receptions where colleagues were able to network with other Credo Champions from their respective divisions. Everyone then made their way to the main event to enjoy fine food and dance to the tunes of an energetic six-piece band. The highlight of the evening came when select champions received our highest level of recognition: the Annual Chairman’s Credo Award! 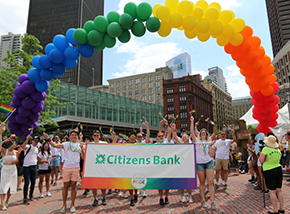 If you are looking to be part of a thriving, financial institution that values and recognizes the great work of its colleagues, discover more about Citizens Bank.